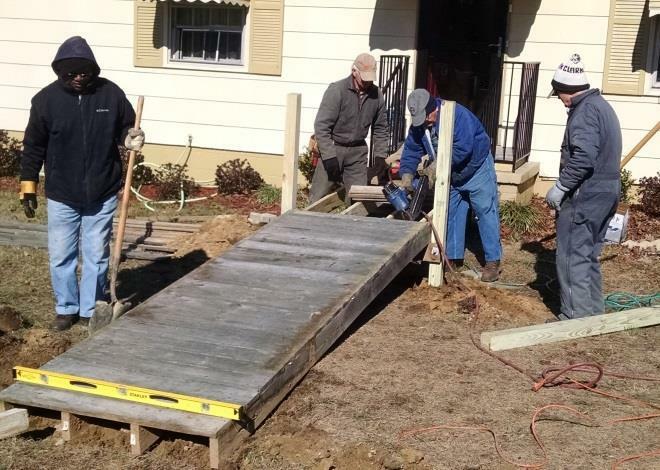 We need volunteers to help build wheel-chair ramps and reduce a backlog of more than two dozen requests. Building the ramps slowed as we moved to and set up in our new location. The recent cold weather further hampered our work. Churches, do you have men’s groups who could lend a hand? If you can help, we’ll put you in touch with Bill Overby of Enterprise Baptist Church, our team leader in Warren County. Or Steve Timberlake of Oxford Baptist Church, our team leader in Granville County. Or, in Vance County, Steve Lyles of Raleigh Road Baptist Church, Vann Wester of New Sandy Creek Baptist Church, or Cliff McClanahan of Central Baptist Church. 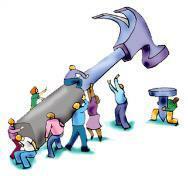 Every effort will be made to assign work in the vicinity of your church. How to Bring a Group to Rebuilding Hope, Inc.
RHI has a number of volunteer opportunities throughout the year and will work with you or your group (youth or adult) to not only meet the needs of homeowners, but also to meet the needs of your group in its effort to put its faith into action serving others. We provide job locations and materials for hands-on experience and will arrange for one-day projects or projects for more than one day. Overnight accommodations can be arranged. E-mail us at rwilson@rebuildinghopeinc.org or call 252-438-5132 for more information on registration. 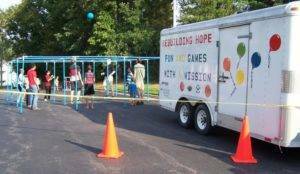 RHI has equipment – like the game trailer pictured below -- that churches and groups may check out for use in their projects. Call the office at 252-438-5132 or Randolph’s cell at 252-425-5593. Game trailer – Outfitted with all kinds of games to use for outreach. Mobile kitchen – Snow cone, cotton candy and popcorn machines. 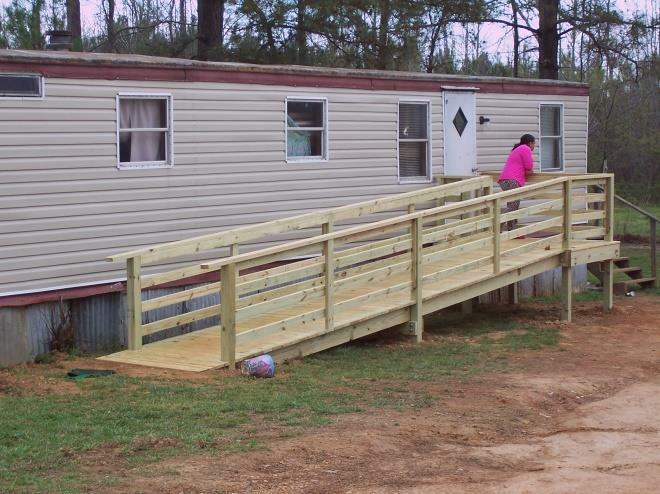 2 tool trailers - Equipped with all tools needed to build a wheelchair ramp. 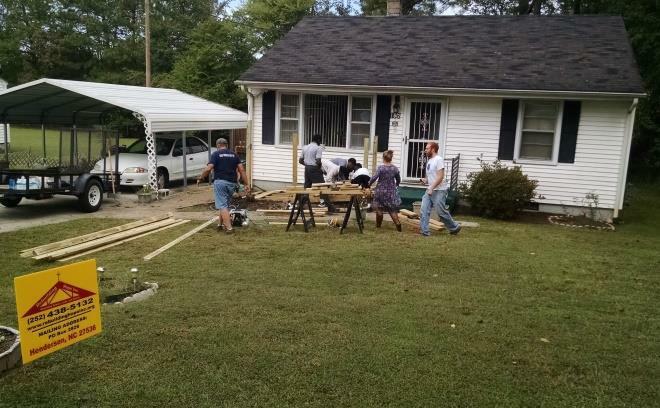 Click below to find out about the different ways you can donate to Rebuilding Hope, Inc.